Are you interested in applying for a job as a marketing analyst? The following is an example of a resume designed for a marketing analyst position. It includes a career objective, core qualifications, professional employment, and internship experience, and education. Also, see below for a list of keywords to include in your resume. Download the marketing analyst resume template (compatible with Google Docs and Word Online) or see below for more examples. Market intelligence analyst looking for an opportunity to work with senior management to develop corporate marketing plans and enhance branding goals. Experience with database software, spreadsheet software, order processing systems, and content management systems. Thoroughly perform market research, analysis, and reporting. Managed market intelligence team in development of quarterly presentation to Business Development senior management and stakeholders. Contributed to a 10 percent increase in company market value in the past five years. Researched and identified markets for new products using internal database and other database software. Repeatedly recognized for strong leadership skills and mastery of market analysis strategies. Collaborated with other members of Market Intelligence team to develop presentations. Provided support to top-level media executives. Completed expense reports and managed expense tracking for all executives. Updated press lists and contact lists; conducted research for press releases. There are several various marketing skill sets that successful marketing analysts should possess: Communications, Data Analysis, Consumer Analysis, Branding, Digital Marketing, Strategic Marketing, and Technology aptitude. In order to demonstrate your command of these skills, incorporate the following associated keywords and keyword phrases when writing resumes and cover letters for marketing positions to help ensure your application gets noticed by hiring managers. Communications: Strong written and oral communications and negotiation talents are essential for marketing analysts. Data Analysis: Successful market analysts rely upon their strengths in data and statistical analysis to generate the information vital to the success of high-price marketing and advertising campaigns. Consumer Analysis: Before incurring the risk associated with a launch of new products and/or services, companies rely upon marketing analysts to define target markets, assess current market conditions, and predict future consumer demand. Branding: Creating a unique, memorable “brand” presence for a company and its products is key to ensuring their long-term positioning in a global marketplace. Digital Marketing: No field of marketing has accelerated as quickly as that of digital marketing – using web-based technologies and apps to attract consumer engagement and create demand. Strategic Planning: Every step of a formulated marketing campaign requires strategic planning in order to decide upon target audiences, anticipate performance, and control a company’s risk exposure. 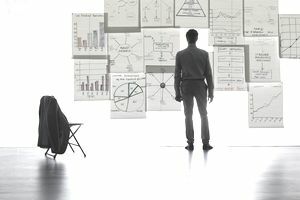 Technology: Marketing analysts utilize state-of-the-art computer technologies to compile and analyze statistical data, prepare reports, and optimize digital marketing and advertising initiatives. Sample resumes, including chronological, functional, and mini, as well as templates for resume writing. Cover letter samples for a variety of career fields and employment levels, including an internship cover letter sample, entry-level, targeted and email cover letters.